I will admit I love margaritas! 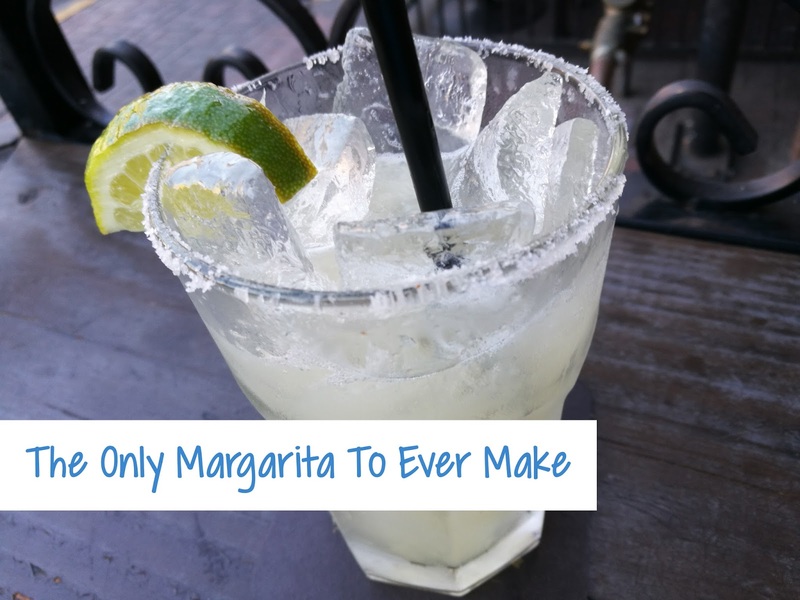 The problem is everyplace you go makes their margarita different and it is like playing Russian Roulette you never know what you are going to get. Hence, I am very picky and when I order margaritas I always ask the servers or bartenders what is in theirs. I am a purist with a margarita. I like simple no fancy stuff and this recipe below is probably the best you can get! I know there are many of you ready that are saying you only like ones with an orange liquor in it but do me a favor just try this recipe then make up your mind! One last thing! Do NOT Jose Cuervo or another cheap brand. Cheap tequila is cheap for a reason...yuck! Optional: Before filling the glass with ice, moisten the rim and dip it in a dish of kosher salt. Shake the tequila, lime juice and agave nectar with ice in a cocktail shaker. Then strain your margarita into your salt rimmed glass. Garnish with a lime half. CHEERS!